The region is well known for its fruit and vegetable growing (especially asparagus) since medieval times. In Spring there are dazzling displays of blossom from the many acres of plum and apple trees giving great swathes of colour. That’s why Burland Excursions always select Spring time for our annual visit, as the blossom really is quite beautiful and colourful. A major attraction is the River Avon, with very popular recreational areas offering something for everyone from hiring fishing rods, to walking, to boat trips. 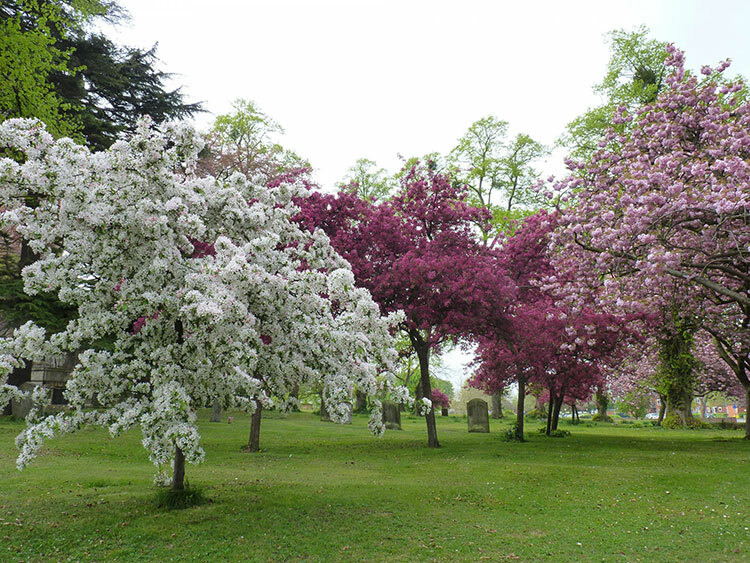 Abbey Park offers a wonderful stroll Vale of Evesham through the blossom. Of course, there is a lovely choice of café’s and pubs for lunch and refreshments. At the end of the day, hop back on board our luxery coach, and relax as we take you home.